Traditional Banking works in stable economies and has built great economies and great nations. It is the mainstream offering tailored toward the employed and those who generally find themselves formally engaged – therein lies its inherent weakness as access to money is easiest for those who need it least. Miriam is the holder of an honours degree in Psychology as well as a UNISA Bachelor of Laws. Her qualifications include diplomas in Education and Training Management. Miriam’s career spans a UK working holiday, HR consultancy, practice ,research and secondary school teaching. Miriam is a practicing legal practitioner at Jessie Majome & Company Legal Practitioners. Mrs Virginia Sibanda is the CEO of VIRL Rural & Social Financial Services (Private) Limited trading as VIRL Financial Services a company that she co-founded in 2010. She holds a Master of Business Administration Degree obtained through the University of Wales Bangor in association with Manchester Business School. Mrs Sibanda is an alumni of the International Leadership Visitors Program sponsored by USAID. 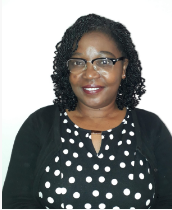 She has twenty eight years of experience in banking and microfinance industry in Zimbabwe, with extensive experience in credit risk assessment and lending to micro, small, and medium enterprises. She has attended the general Boulder Institute of Microfinance Program as well as the Rural and Agriculture program and has attended the Symposium for Financial Inclusion sponsored by Mastercard Foundation.Mrs Sibanda is passionate about development work. She is the current Board Chairperson of ZAMFI. 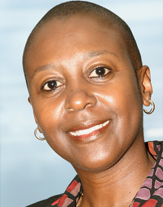 Farai has spent over a quarter of a century in the financial services sector, specialising in Corporate Communication, Marketing and Investor Relations. 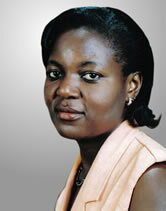 She is an alumnus of the British Council programme, “Tomorrow’s Leaders”. 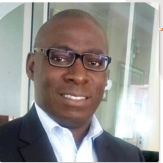 Guy Mangwiza is a Relationship oriented Executive with a strong background in Corporate & Merchant Banking as well as in Electronic Banking, eCommerce and International Electronic Payments. He have more than 20 years experience in the banking industry. A tenacious and hardworking individual ready to give the best to all organisations that he work for. In his spare time, he enjoy golf and lecturing at MBA level. His modules are Managing & Leading Change in Organisations and also Strategy. One of his achievements include transforming CBZ Holdings from a simple card-issuing bank to an eCommerce powerhouse offering a wide range of electronic banking products. He was also a key member of the transformed Electronic Payments and Plastic Card Association of Zimbabwe and played a major role to make it relevant in a volatile and challenging environment. He like the challenge of setting up new Projects as in ZB Card Centre and now CABS Visa MasterCard Project. 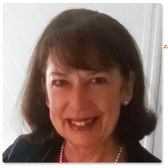 Bridget Morris (BA Hons, Grad-C-E) has 30+ years of experience in IT, Payments and Microfinance, broadly based as is typical in emerging markets initiatives. For half of this time she has been a self-employed consultant based in Zimbabwe, but has led and participated in projects all across Africa and beyond; the Caribbean, Scotland, Kazakhstan, China. Key local work was the design and build of Zimswitch, the local electronic interbank clearing house, to which she still consults and guidance around the specification of ZETSS, the local RTGS system. More recently she has taken this payments expertise into the Micro finance area.